Years after the conclusion of My Swordhand is Singing, Peter is still on the trail of the Shadow Queen. His search leads him to Venice, a city whose beauty disguises evil secrets. There, the Shadow Queen is gathering strength, recruiting a new army of the Undead for a final confrontation. Meanwhile, Marko and Sorrel meet in Venice for the first time. 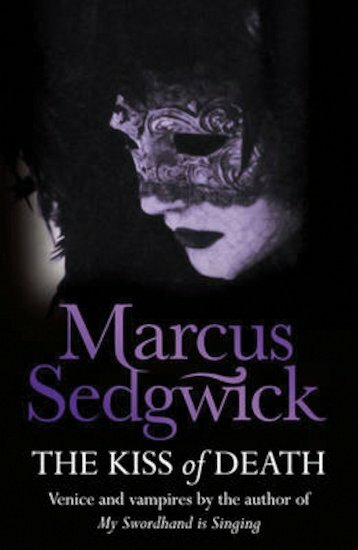 They must uncover the mystery of what has happened both to Sorrel’s father, plagued by a strange madness, and to Marko’s father, a doctor who has mysteriously gone missing after travelling to Venice… The fabled Italian city of lapping waterways, crumbling palaces, twisting alleyways and surprising piazzas is the perfect setting for this captivating gothic novel of love, loss and bloodlust.